Colonel Stephen J Ryan Commandant of the Veteran Corps of Artillery SNY, is a LTC in the US Army Reserve and recently returned from serving as CA LNO CJTF-Horn of Africa. Immediately prior to that, he served in Afghanistan with the 82nd Airborne Division. He previously served with the 1st Squadron 10th US Cavalry of the 4th Division in Iraq as a Captain in 2003-2004. 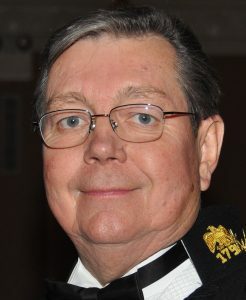 He has been a member of the VCA since 1993 having joined when he was a Second Lieutenant in the Field Artillery in the regular army. In the corps he has served in the Firing battery and the color guard as well as serving as training NCO, Ordnance NCO and acting First Sergeant. LTC Ryan was commissioned in the Corp from Master Sergeant to 2LT in 2002 and served as the Assistant G3 and later G3 before being made the Deputy Chief of Staff and promoted to major shortly after returning from Iraq. LTC Ryan became Commandant on June 16th 2011 at the request of the council of Administration, overseeing the Corps. His father, Colonel Herbert F. Ryan VCASNY (AUS ret., MG NYG ret. )a veteran of the Korean War and brother PVT. Andrew Ryan, veteran of both Iraq and Afghanistan (MAJ, USAR) are members of the Corps. LTC Ryan was commissioned a Distinguished Military Graduate in the Army Reserve from the ROTC program of Fordham University, in 1992. He holds a BA from St. Johns University and a Masters from John Jay College of Criminal Justice in Public Administration. In civilian life, he has served for twelve years as a decorated Police Officer with the Nassau County Police Department and is assigned to the Homeland Security-Counter Terrorism Bureau. COL J. Raymond (Ray) Mechmann Jr.
he is also a member of the US Field Artillery Association, and a Chevalier of the Sovereign Military Order of the Temple of Jerusalem. COL Mechmann also holds the rank of LTC (P) in the New York Guard, where he is currently Commander of the 56th BDE, serving in that role since 2014. Previously he served as the Deputy Commander of that BDE. He has served as a commissioned JAG Corps Officer in the New York Guard since 1999, and was also Deputy Commander of the 5th Civil Affairs RGT in 2006. He previously served, from 2006 to 2010, as S-3 of the 56th BDE, and from 2003 to 2006 as S-3 of the 5th Civil Affairs RGT, directing all planning, training, and operations for those units. In 2012 he served with the New York State Military Forces, Joint Task Force 3, as Deputy Liaison Officer (LNO ) Coordinator for the State and Federal Military response to Hurricane Sandy. In 2011, he served in the same role in the State and Federal Military response to Hurricane Irene, and also as the New York Guard Liaison to Joint Task Force 3. 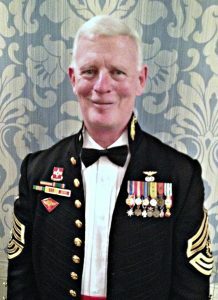 As a JAG Officer, since 2001 he has participated with the New York Guard in, and supervised, over 30 Legal Service Operations, for the counseling of, and preparation of wills and other legal instruments for, deploying or re-deploying Army National Guard, Air National Guard, US Army Reserve, and US Marine Corps Reserve personnel. 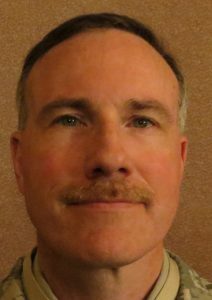 He has also supervised numerous Emergency Management and First Responder Drills for the State of New York, and participated with the NYS Army National Guard in Operation Patriot East in 2004. In 2006 he was activated by the New York Guard with other New York State emergency personnel in a Search and Rescue mission at Indian Lake in the Adirondack State Park. COL Mechmann currently lectures on the Servicemembers’ Civil Relief Act (SCRA), and Uniformed Services Employment and Reemployment Act (USSERRA) for members of the NYS Army National Guard, NYS Air National Guard, US Army Reserve, and US Marine Corps Reserve. 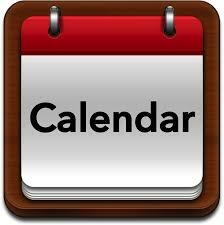 He has also lectured for several years at the New York Guard continuing and professional education schools. He is certified to serve as a Range Safety Officer and Range Officer in Charge by the NYS Army National Guard; in Basic Wildland Search and Rescue by the New York State Department of Environmental Conservation; in Mass Decontamination (CBRNE) by Westchester County; as a Basic Peace Officer Instructor by the New York State Division of Criminal Justice Services; and as a Basic Pistol and Rifle Instructor by the NRA. His New York State and New York Guard Awards and Decorations include the State Medal for Meritorious Service, the Medal for Humane Service to the State of New York (2 awards), and the New York State Defense of Liberty Medal, as well as the New York Guard Commander’s Citation and Medal for Meritorious Service. A graduate of Manhattan College with a B.A. in History in 1979, and New York Law School with a J.D. in 1982, he also has an M.A. in History from the City University of NY, and did Doctoral Studies in Law and History at the University of Cambridge in Cambridge, England in 1987 and 1988. A former career prosecutor, he is currently employed by the NYS Unified Court System, as the Principal Law Clerk to the Hon. David S. Zuckerman, Acting Justice of the Supreme Court, Westchester County. He has numerous publications in the fields of Law and History, and has conducted lectures on those subjects in professional and military educational settings, including the New York State Judicial Institute, Pace and New York Law Schools, and the LTC Dan King Memorial Lecture on Military History. The Colonel’s military service began as an Armor enlisted soldier in the New York Army National Guard 42d Infantry (Rainbow) Division serving in various Units until his discharge from HQ 1st Brigade . In 1979 he served with the U. S. Army Troop Support Agency as the first Chairman of the Connelly Awards Traveling Teams to evaluate the Army National Guard and U S Army Reserve components. Whalen joined the New York Guard and held a variety of positions in the 88th Brigade including Commander of the 9th Regiment for 4 years. He was appointed Commander of the 14th Brigade increasing the Unit strength in each of the four years while serving in that capacity. 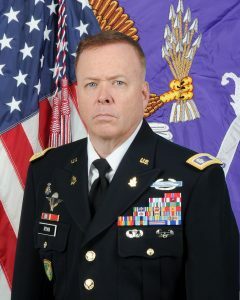 Colonel Whalen was then appointed Commander of 88th Brigade for 3 years until he retired from the New York Guard in June 2009. He requested and received the designation of the 88 BDE for the CERFP mission to augment the NYARNG and during such time the Unit enjoyed unprecedented recruiting. As additional duty assignment, beginning in 1994, he served as Marksmanship Coordinator and entered pistol teams in competition at the Adjutant General’s combat matches every year until 2009, with unprecedented First place awards for eight years. Whalen served as the Military Liaison Officer to the New York Police Department during the initial emergency response mission to assist the City of New York in the security and recovery operations following the September 11, 2001 attacks at the World Trade Center. Thereafter he was assigned to Command the Logistics Operation Cell at Westbury, New York to receive and store all donated goods that were excess to the Ground Zero recovery operation. He is a life member of the Veteran Corps of Artillery State of New York, is the immediate past Battery Commander, as additional duty assignment has been the Ordnance Officer since 1992 and also the G-3, Plans, Operations, Training and Security Officer. Whalen is a Vice President of the Veterans of the Seventh Regiment and the 71st Regiment Veterans Association. He is currently the Commander of American Legion Floral Park Post 334, and the present Commander of the 11th New York Regiment, U S Volunteers- America “Honoring Those Who Have Served”.